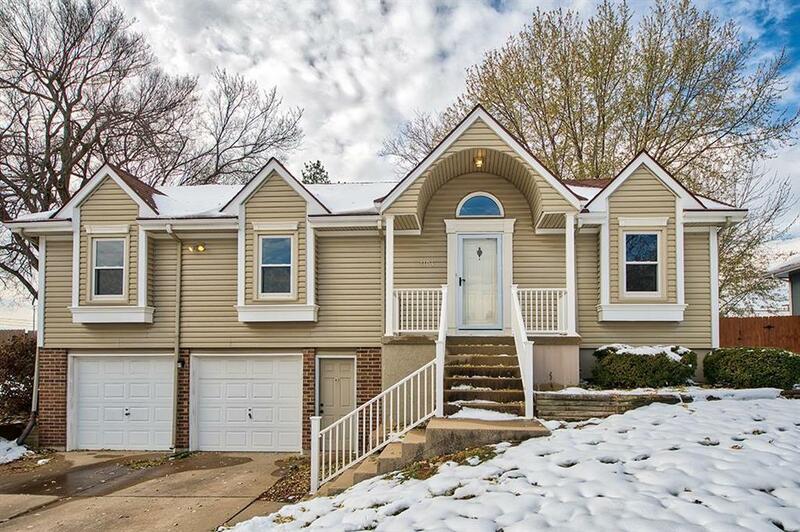 Welcome home to this Raised Ranch Home. Entry into Great Room with coffered ceiling with a gas fireplace flanked by windows allowing natural light. A Kitchen with breakfast area and formal dining give plenty of entertainment space. The Master Suite has is own walk out door to the deck. Two other main floor bedrooms share a hall bath. The finished lower level provides media/gaming with a stub for a wet bar. Three finished closet spaces allow plenty of storage or the option for a fourth non-conforming bedroom. Directions: Highway 291 to Tudor/Scruggs Road. East on Scruggs to Ridgeview (you will need to make a U turn around the island) . North on Ridgeview to home on west side of the street.